KAMPALA – It is weekend, again! It is time to loosen up after a heavy, long and tedious week. Worry no more. PML Daily has been in and around town to find out what can make your weekend fabulous. Nigerian artiste Burna Boy will be live in a concert this Friday, March 22, at the Kampala Sheraton Hotel gardens in the city. He is known for his latest banger Angelina that is trailing on the billboards. He was flown into Uganda by Kasana Events. Entrance is only UGX50,000 ordinary; and UGX100,000 for the VIP. Happening this Friday, March 22, is your great party at the factory on 7th Street, Industrial Area. The do will feature AO, the Walker, Maintain, and Catudiosis. The charge fee is just UGX10,000. All is going down this Friday, March 22, at the 4th Edition of the Views and Vibes at Five Horsemen at Nsambya, Plot 1382 Ggaba Road. Expect powerful live drumming sessions and live performances from DJ Leo and Moses Rallo. Entrance is only UGX10,000. Fezah has great plot for you this Saturday, March 23, at Design Hub on 5th Street, Industrial Area. 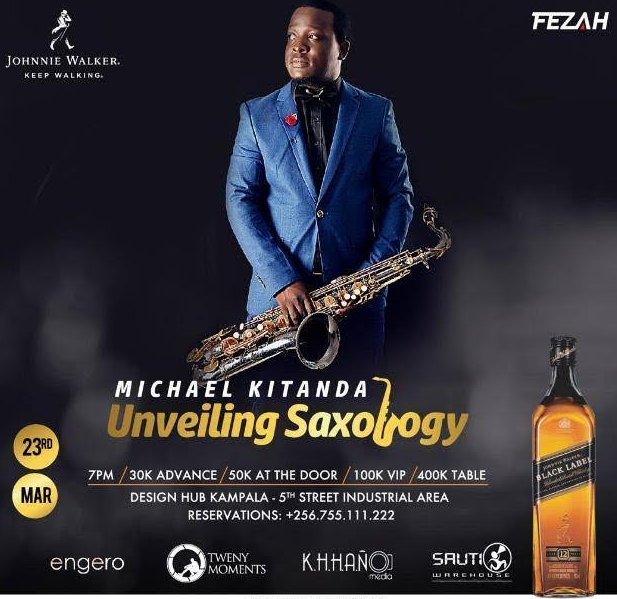 Go enjoy the Saxophone with your family and buddies from the maestro himself Micheal Kitanda. The cover charge is only UGX50,000, UGX100,000 (VIP) and a table for only UGX400,000. The week-long activities of Uganda – France Friendship will be crowned off this Saturday, March 23, with the Uganda Cranes Rugby Cranes Vs French Pacific Military Army at Kyadondo Rugby Grounds in Lugogo. The charge is only UGX10,000. After the games there will be lots of performances from Uganda’s best artistes such as Eddy Kenzo, Cindy, Beenie Gunter, and Fik Fameika, among others. The 3rd Edition of Africa’s biggest kids show is back this Saturday, March 23, at Galaxy International School in Kampala. Be there and relax. This Saturday, March 23, is the grand launch of Banange Beer at Yujo Izakaya, Nakasero. There will be different crafted varieties including: IPAS, Dark Chocolate Stout, English bitter and mango white ale. The annual Color Holi Festival is back this Saturday, March 23, at KCCA Grounds opposite Uganda Manufacturers Association grounds in Lugogo, Kampala. The festival is organised by the Indian association in Uganda and the gates will be open at 11:00 am. This Sunday, March 24, the Flea Market at the gardens in Najjera is back. Go with your family and friends to buy products at greatly discounted prices. There will be a kids play area and lots of eats from Cake Shop Uganda. Here, everyone is a VIP and entrance is free, just free!